Ronda has been a business lawyer since 2004 and is a graduate of JFK University School of Law, where she was awarded the American Jurisprudence Award for Scholastic Excellence in Taxation Studies and the Bancroft-Whitney American Jurisprudence Award in Criminal Law. Ronda earned her Certification in Workers Compensation studies at UC Davis. From 2004 through 2010, Ronda worked as an attorney with Johanson Berenson LLP. She represented clients in the areas of estate planning and trust administration matters. Ronda served as lead counsel on several multi-million dollar merger and acquisition and corporate finance transactions and represented clients against the IRS and Franchise Tax Board. Prior to joining Johanson Berenson LLP, Ronda worked in the field of tax accounting, construction law, workers compensation law, and family law, providing clients with a full range of legal services in these areas. Ronda is a native Napan and brings strong roots in the Napa Valley community. 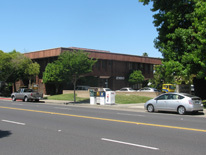 Ronda is a member of the California State Bar and the Napa County Bar Association. Ronda is also a member and has served as past officer of Napa County Women Lawyers, and is a member of the National Association of Consumer Bankruptcy Attorneys. Ronda has two children, Kimberly Menager and Michael “Buddy” Connor. In her spare time, Ronda enjoys music, gardening and hiking ~ particularly in the Sierra Mountains and around the Lake Tahoe area where her family has a second home.